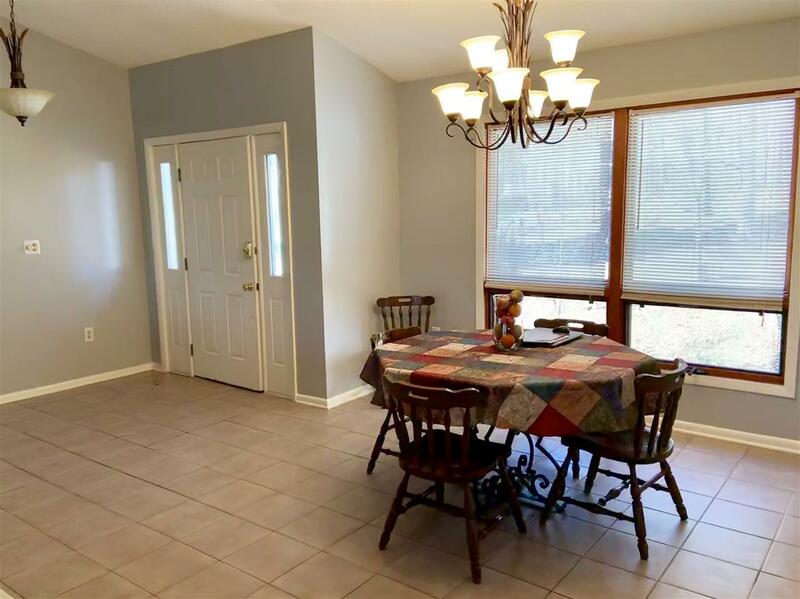 Lots of space for your family in a great neighborhood! 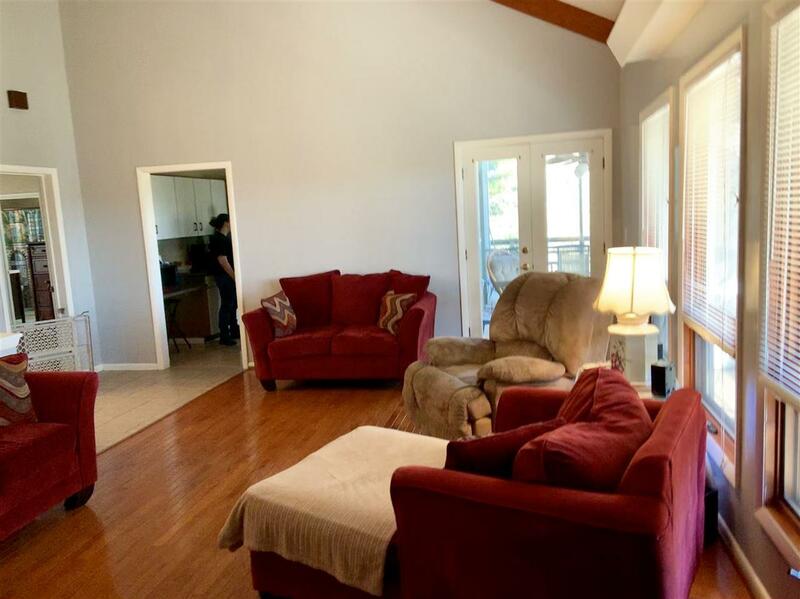 Nice ranch with cathedral ceiling, skylights, & exposed beams in large living & dining room area. It also has a wood-burning fireplace! Split bedroom plan with Master bedroom having nice bath with tub/shower plus an additional shower and a large walk-in closet. From the kitchen you can access the laundry room or venture out onto the screened porch. From the porch you have access to an open deck and also a long covered deck to enjoy the outdoors and wildlife! Downstairs you will find 5 finished rooms plus a full bath and a large storage area. 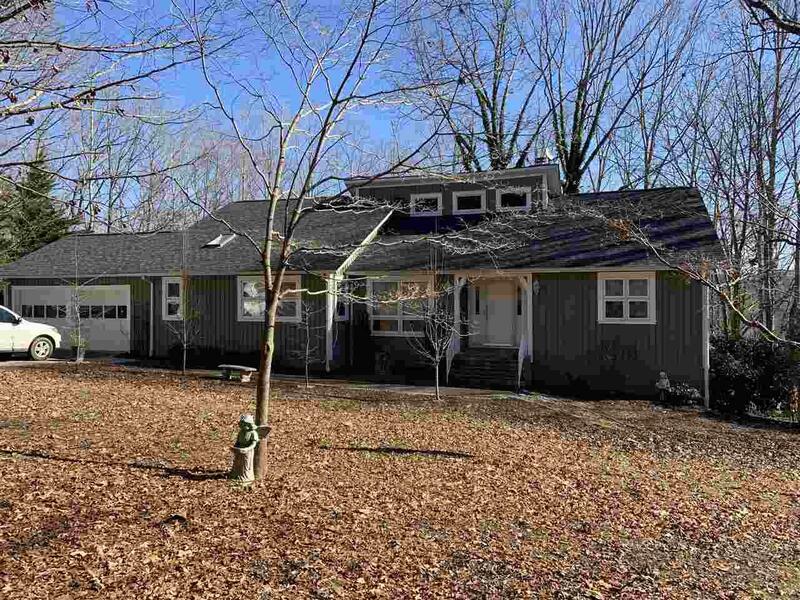 This home has over 3000 finished square feet! Outdoors is a nice storage building and a wooded, natural yard. Backyard is fenced. The golf course is only a few yards away or you can simply enjoy the serenity of this beautiful & convenient location near TIEC and Hwy. 74. Lots of space for your family in a great neighborhood! 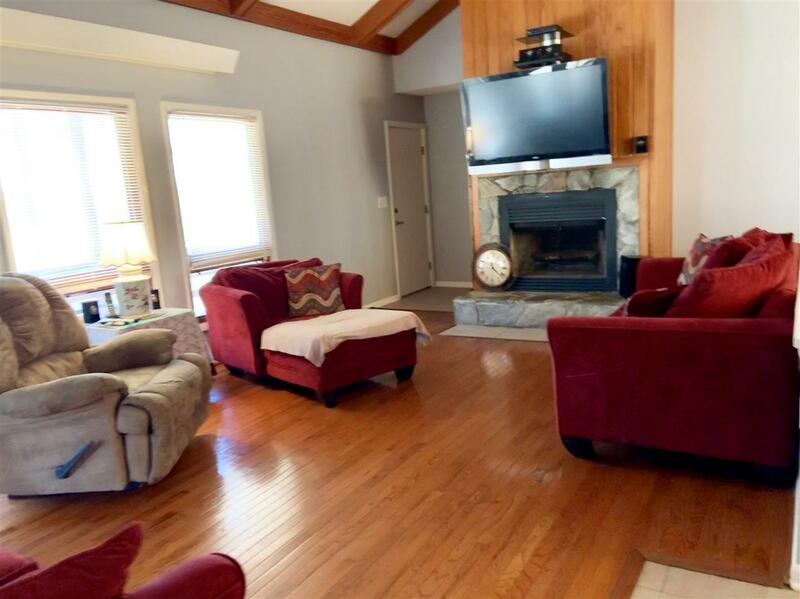 Nice ranch with cathedral ceiling, skylights, & exposed beams in large living & dining room area. It also has a wood-burning fireplace! Split bedroom plan with Master bedroom having nice bath with tub/shower plus an additional shower and a large walk-in closet. From the kitchen you can access the laundry room or venture out onto the screened porch. From the porch you have access to an open deck and also a long covered deck to enjoy the outdoors and wildlife! Downstairs you will find 5 finished rooms plus a full bath and a large storage area. This home has over 3000 finished square feet! Outdoors is a nice storage building and a wooded, natural yard. Backyard is fenced. The golf course is only a few yards away or you can simply enjoy the serenity of this beautiful & convenient location near TIEC and Hwy. 74. Listing provided courtesy of Pat Jackson of The Real Estate Place.